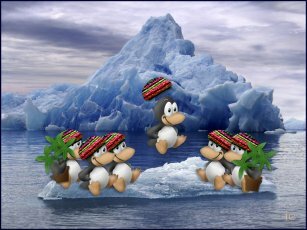 Penguin Fantasy is a fun loving theme about penguins from around the world. This one started out as the first in a series of themes with penguins dressed in various international clothing styles and colors. It was fun to create and hopefully fun for you to enjoy.